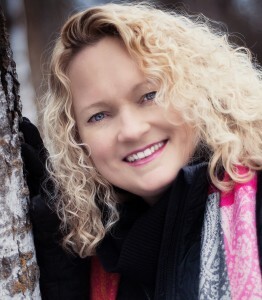 Sheri-Lynn Marean, Author of Dracones Awakening, the first book in the Dracones series, resides in western Canada with her husband, three kids, one dog, one cat, and two fish. Sheri-Lynn did not grow up thinking she would one day be an author. Instead, she grew up riding and working with racehorses, drawing and selling her animal artwork, and of course reading. Sheri-Lynn fell in love with reading at age twelve when she read The Black Stallion series by Walter Farley. She has not stopped reading. With a wide variety of reading interests, Sheri-Lynn’s passion presently is the paranormal romance genre. One day, after reading an unsatisfying book, she decided she would write her own book, with her own characters, doing what she wanted them to do. She began to type and the characters came to life in her head. She has never looked back. The Characters in my head. Book 2 is ready to go to the editors and I am trying to get book 3 done, but bk 4 is interfering so they are both being worked on. I have many more in this series and do not have a plan for it to end yet. I have at least 12 characters whose stories need to be told and I imagine before I am done there will be other characters popping up. I do an arc and a GMC chart for my characters, and do a bit of outlining, though a lot of it is in my head. I see it all come together, then write. I love and highly recommend for anyone wanting some great resources; GMC by Debra Dixon, and K.M. Weilands Structuring your novel. They have some great ideas and info. Yes, of course! Their lives play out in my head like a TV show and I see a scene before I write it. research! The books I mentioned above are easy to read and understand and really helped me. I also found that going back to my favorite authors and studying what it was I loved about their characters and why. Then I worked on making mine even better. Also, take all criticism as an opportunity to improve what you have. I had one beta reader who didn’t like one of my characters wile my 8 other beta’s loved him. And while I know that not everyone is going to love my book, I still went back and worked on him and the others to make them better! A great site to learn some valuable writing stuff is Agent Query connect.com. You learn how to critique and others critique your stuff. I found it very valuable. I originally planed to try and find an agent and publisher, but I took a self-publishing course at our local college one night and learned that it was not as hard, or daunting to self publish. After that I thought long and hard about it. It can take a very long time for an agent to pick you up and if you get published, that doesn’t mean that your book will be face out at the big book stores. I also wanted to keep the rights to all my books and I didn’t want to limit myself, so I went the indie route. Thinks are always changing and with things so digital these days, you never know what will happen.